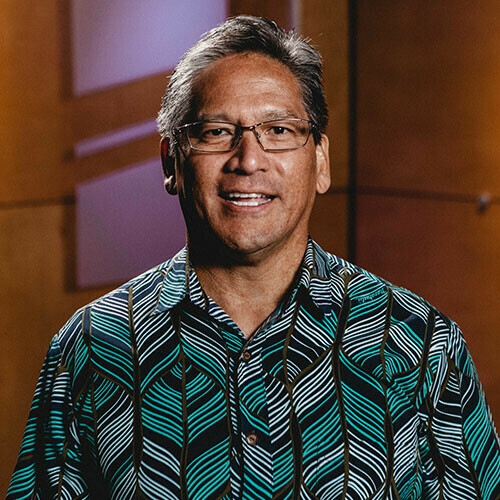 Pastor Richard Waialeale came on staff in 2001. He has been attending New Hope since 1996 and serves as the Edification Pastor. Richard has a Master's of Christian Ministry from the Pacific Rim Bible College. He is currently working towards his Doctorate degree at Lancaster Bible College. Richard is married to Mary and has two daughters, Sara and Rachel, and two grandchildren. He enjoys working out at Egan’s Bootcamp, loves hamburger steak and mac salad, and any outdoor and water sport.